Truly simple and clean design to impress your customers in every visit. 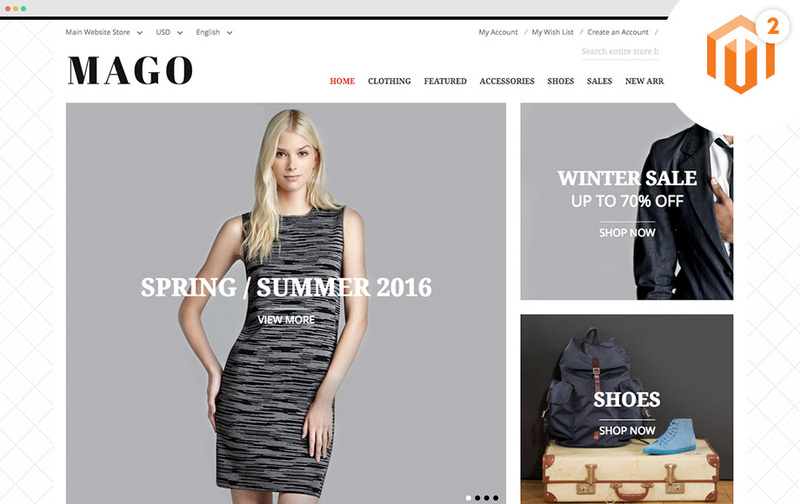 UB Mago is an awesome fit for your premium online fashion stores. 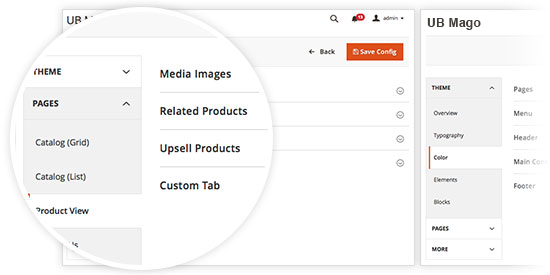 With a robust UB Theme Helper – theme customization panel, you have full management over small & large adjustments (Font, Color, Background, Button, Product Labels etc.,). It sets you free from directly editing source files. UB Mago is well-suited for any high-class fashion store, with the minimalistic yet bright white look and feel. Black and white are a great combination to give your store the classy look it deserves. 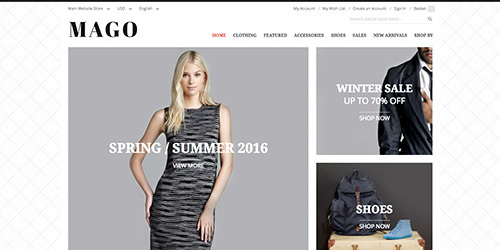 Catalog page is an important path to purchase in UB Mago, it can be formatted as a list or a grid. You might add banners, keyword-rich descriptions etc., to feature a curated collection of products from different categories. 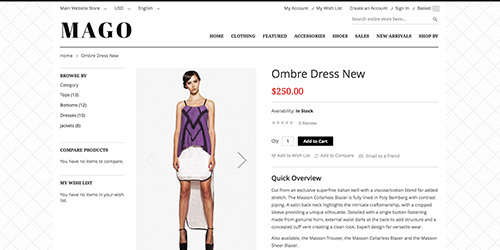 Single product page is where you create a strong impression and effective CTAs! 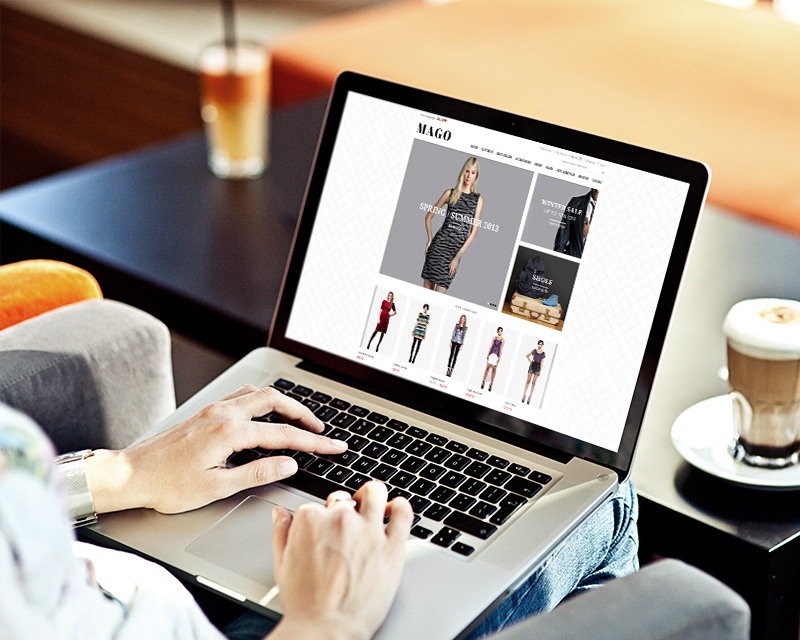 Importantly, UB Mago helps to provides all detailed information about the products that give your customer a faster and easier way to move to the next step – Add items to their Shopping Cart. 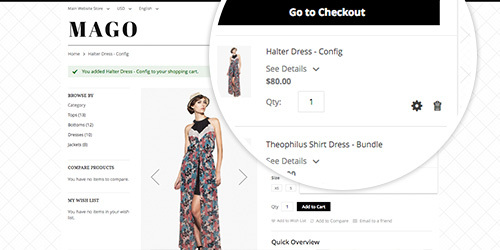 The Minicart in the upper-right corner is quite handy to improve your store checkout process. 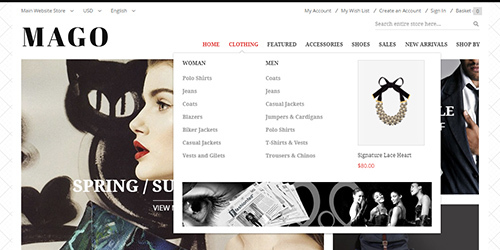 It encourages your customers to shop more, while easily view and manage the products saved in the cart. 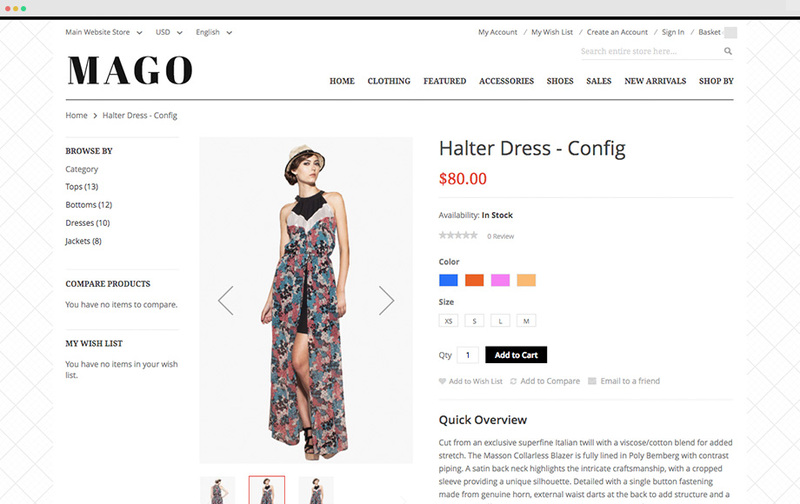 Megamenu in Mago will come in handy to keep your fashion store in great shape. In a fewer clicks, your audience will find their ways to the specific page instead of surfing through pages after pages. Allow to add sliders anywhere via widget module manager, with full control to display Latest / Hot / New or Random products or uploaded videos. 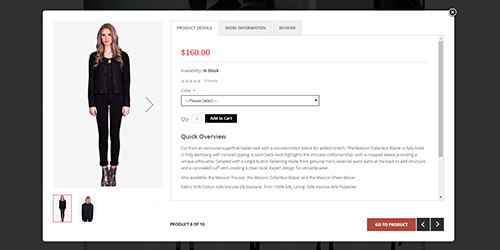 A convenient ajax-add-to-cart that allows to add any item into shopping cart right in the pop-up window. No more loading page needed. UB Mago is responsive ready. 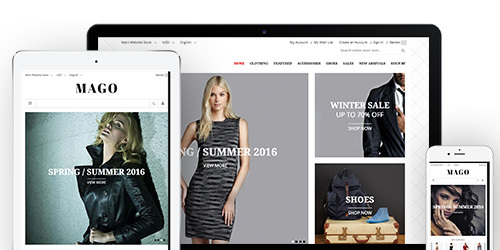 It provides consistent visual design and user experience for a wide range of devices, from desktop monitor, tablet to mobile screen size.